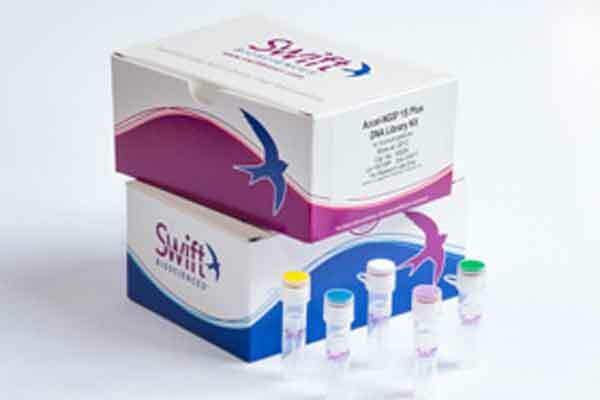 US-based Swift Biosciences has launched its Accel-NGS Unique Dual Indexing Kits, which deliver the power and value of high-throughput multiplexed sequencing while improving the accuracy of low frequency variant calling, such as somatic mutations, in samples such as FFPE and cfDNA. Swift Biosciences specialises in sample preparation for next-generation sequencing (NGS). Multiplexed sequencing is a commonly used technique among clinical research, drug development and clinical services labs utilising next-generation sequencing (NGS), said a statement. The Accel-NGS Unique Dual Indexing Kits are an essential addition to NGS workflows, as current tools can suffer from demultiplexing problems caused by index read errors, PCR-induced chimerism associated with multiplexed hybridisation capture workflows, and index hopping on patterned flow cells, it said. The kits are developed in a set of 96 dual indices for both i7 and i5 positions, and provides a more scalable and reliable workflow for a range of applications including: low-frequency somatic variant discovery; formalin-fixed paraffin-embedded analysis; microbial detection in human samples; cell-free DNA analysis. Key features and benefits of the kits include: optimised across all Illumina sequencing instruments; improves misassignment rates to less than 0.1 per cent; enables multiple applications including whole genome sequencing, whole exome and methylation analysis; compatibility with Swift library prep kits including Accel-NGS 1S, Accel-NGS 2S, and Accel-NGS Methyl-Seq.